Daily Debate: If You Had to Recast One Zelda Companion as a Villain, Who Would You Choose? We’re kicking off Companion Week here at Zelda Dungeon, which means that over the next several days, we’ll be celebrating Link’s many partners, mentors, and friends. As fans and as fellow adventurers in the Zelda world, we hold these companions with special regard; some more than others, but you get the point. There will be plenty of praise showered on these Zelda companions over the next few days, but we figured we’d start the week by looking at them in a different light. It can only take one small change, one minor catalyst, to turn a hero into a villain. So which Zelda companion, as righteous as they might be in their respective game, could be recast as an antagonist? An obvious choice would be Midna, a character that starts Twilight Princess with a chip on her shoulder already. She’s spunky, selfish, and delightfully devious from the game’s outset, which has a lot to do with the strength in her character arc by the end of her adventure. If the events of Twilight had happened just a little bit differently, we may have seen Midna turn to the darkness sooner than we saw her turn to the light. 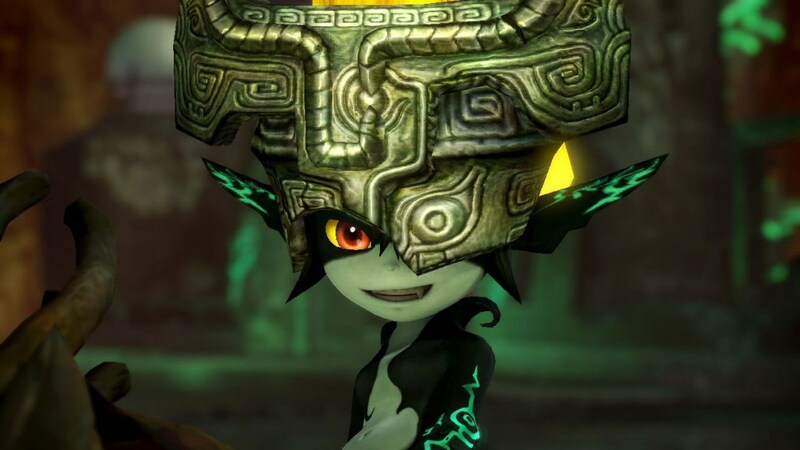 But personally, I’m not sure I’d want to undo the beautiful character work achieved through Midna. Her arc and development were just so strong. Primarily benevolent companions like Navi or Fi would make for interesting baddies. Granted, I don’t see such characters turning evil on their own; their much too pure. They would have to be fully corrupted by some malevolent force to be taken seriously as villains, which in turn would make for an interesting conflict for Link. While facing a distorted version of a former ally, he’d have to find a way to undo the corruption and revive his fallen friend. Likewise, mentor companions like Ezlo or the King of Red Lions, who have under-developed backstories, could have dirty laundry buried deep in the past. Our editor-in-chief Andy has actually raised some interesting questions in regards to Ezlo’s alignment pre-Minish Cap. There are many choices, and many possibilities. Which Zelda companion would you recast as a villain? What about these characters would make them an effective antagonist? Share your thoughts in the comments below!